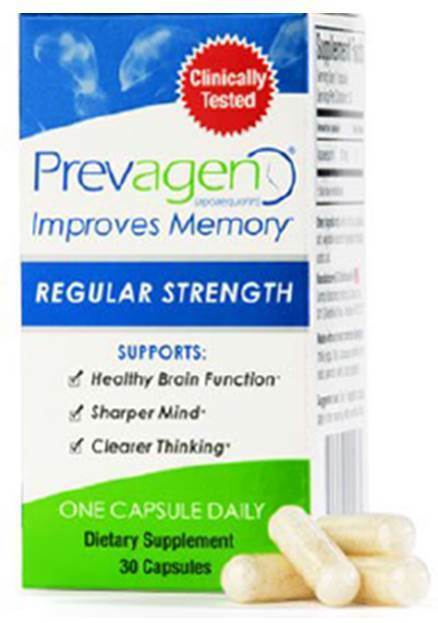 Ads for Prevagen claimed that the purported memory improvement supplement is “The Name to Remember,” but according to a lawsuit filed by the FTC and the New York Attorney General, it’s a product consumers might be better off forgetting. Ever “walk into a room and forget why,” “spend extra time looking for car keys or purse,” or have “trouble remembering names or faces”? The defendants pitched Prevagen, a supplement containing a protein found in jellyfish, as an answer. A month’s supply set consumers back between $24 and $68, depending on the formulation, and was available online and at retailers like Amazon, CVS, Duane Reade, Rite-Aid, Meijer, the Vitamin Shoppe, and Walgreens. 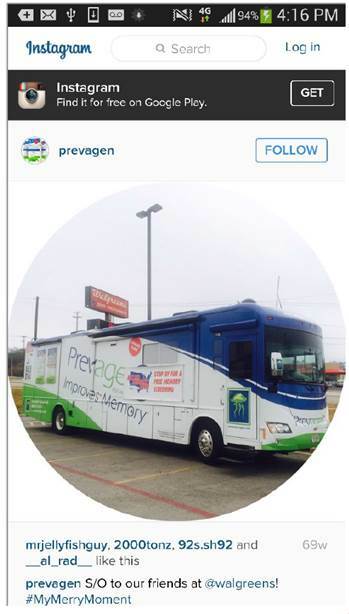 The defendants also ran an infomercial called The Better Memory Show and had company representatives board the “Prevagen Express” bus to visit health food centers and health expos across the country. According to the complaint, the defendants represented in national TV ads and elsewhere that Prevagen improves memory within 90 days, reduces memory problems associated with aging, and provides other cognitive benefits, like healthy brain function, a sharper mind, and clearer thinking. What’s more, they claimed to have clinical proof to support their advertising promises. The FTC and AG also allege that the defendants made false statements about their purported clinical evidence. You’ll want to read the complaint for details, but here’s just one example. The company relied primarily on a double-blind, placebo-controlled human study assessing subjects on nine cognitive tasks designed to assess skills like memory and learning. But according to the FTC and New York AG, the group that took Prevagen failed to show a statistically significant improvement in any of the nine tasks when compared with people who were given a placebo. Filed in federal court in New York, the lawsuit names Prevagen, Inc., Quincy Bioscience Holding Company, Inc., Quincy Bioscience, LLC, Quincy Bioscience Manufacturing, LLC, CEO Michael Beaman, and President Mark Underwood. (Mr. Underwood was a lead researcher in the company-conducted clinical study, appeared in Prevagen ads, and wrote a booklet, The Brain Health Guide, that purports to explain the science behind the claims.) The complaint alleges violations of the FTC Act and two New York state consumer protection laws. The FTC settled a deceptive advertising lawsuit with the marketers of Focus Factor in 2004. Here is more information about what the FTC alleged in that case. I spent a lot of money on this product. How and when can I apply for the refund that is alleged to be offered to us suckers? Hi, Will. The FTC just filed its lawsuit yesterday, so the case hasn't gone to trial yet. Both sides will have the opportunity to present evidence to the Court. It's concerning that ads for this product are STILL running on MSNBC. The FTC filed a lawsuit against the marketers of the product, but the case has not yet gone to trial, Ian. It has been 7 months and the ads are still airing. There must be some merit to the marketers claim for this product (Prevagen) or the FTC during the last seven months could have forced the marketers to cease and desist from running false ads and continue to sell the product. Why is this case taking so long to be resolved......in the interim millions are losing their minds to Alzheimers. Why has FTC allowed Prevagen to continue to make claims, market and sell the product, etc. during the past seven months if it is not in the least effective? Hi, Ms. Barry. The FTC doesn't have the legal authority on its own simply to stop companies from selling products. Under the law, the FTC can file a lawsuit and ask the Court to stop a company from making claims the FTC believes to be deceptive, which is what we have asked in his case. But court proceedings can take time. Thank you very much for you patience. The extensive "research" presented by the mfr is shaky at best. It is clearly intended to sell rather than scientifically demonstrate efficacy. There are good reasons why the FTC exists. This sure looks like one of them. Which of the commissioners voted on proceeding with this suit? When was the vote taken? Which of those who voted to proceed are still serving as commissioners on the FTC? When did Chairwoman Ramirez step down? How many vacant commissioner seats on the FTC still need to be filled? Is it normal to have unfilled vacancies on the FTC? What is the status of this case and why is this product still on the store shelves and why hasn't the advertisements stopped?? It is way over due to stop this product and get it off the market before someone else OD. Still seeing new Prevagen ads in East TN a year after the lawsuit has been filed, is there any update on when this case will be heard? Where does this stand? Has been over a year and no additional information? I cant believe that it over a year since the lawsuit was filed. The ads are more numerous on TV now. They have made millions on a placebo. Good business. I have been using Prevagen for 2 months and notice no change, can I return the unused amount to the pharmacy I bought it from? My 85 year old mom took Prevagen for two months. It wired her up and she ended up in the emergency room with heart arrhythmia. And worse! Her heart went into a strange rhythm for almost a week but finally settle down after quitting The Prevagen and getting on medication from a cardiologist . This has been an expensive and scary lesson. Why was this medication ok’ed when it’s this dangerous?? The FDA does not evaluate or review dietary supplements for safety and effectiveness. Taking a supplement could be risky, depending on the other medicine you take, or the other conditions you have. You should always talk with your doctor before you start taking a dietary supplement. Read more about dietary supplements.